'Ever uttered the words "What do you want?" in frustration to your crying, irritable or fractious baby? Well never again! '- Janette Roberts, author of the Healthy Parents, Better BabiesImagine how much easier life would be if you could talk to your baby and understand his or her emotions, needs and wants. 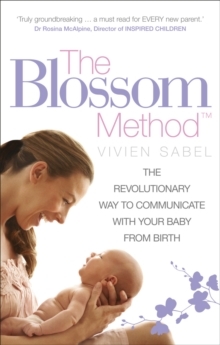 In The Blossom Method (TM), body language expert Vivien Sabel allows you to do just that - through learning your baby's non-verbal communications.